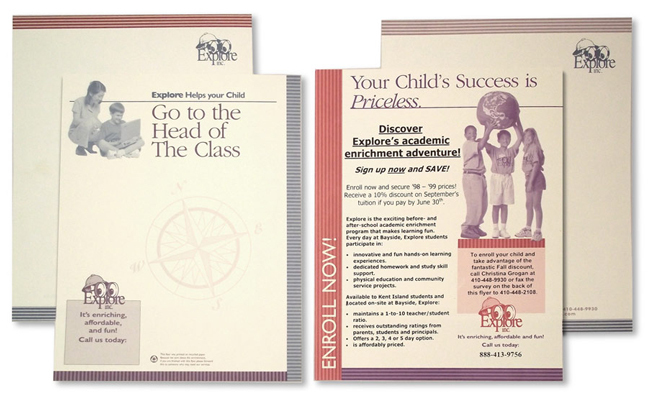 This educational package of visual communications and collateral was produced for Explore, Inc., a children’s before and after school enrichment program. 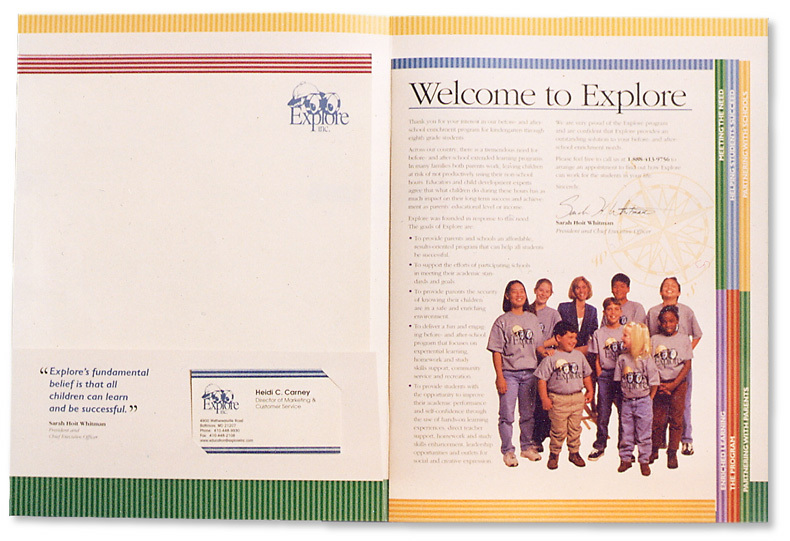 Lucy created the brand look, color palette. graphical hierarchy, most of the photography, and guidelines. 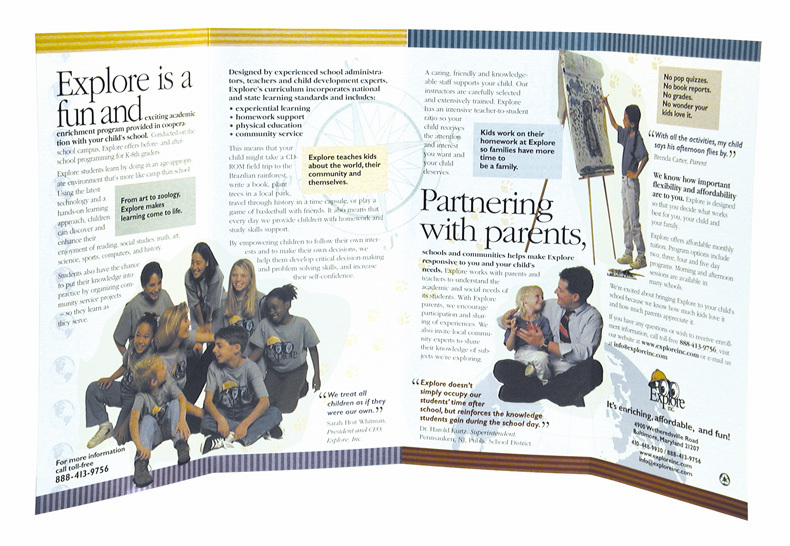 The parent introductory brochure and kit folder has tabbed and bound0-in page inserts. Lucy art directed the photography, coordinated the studio photo shoot, arranged props, interviewed models and illustrated the graphics. 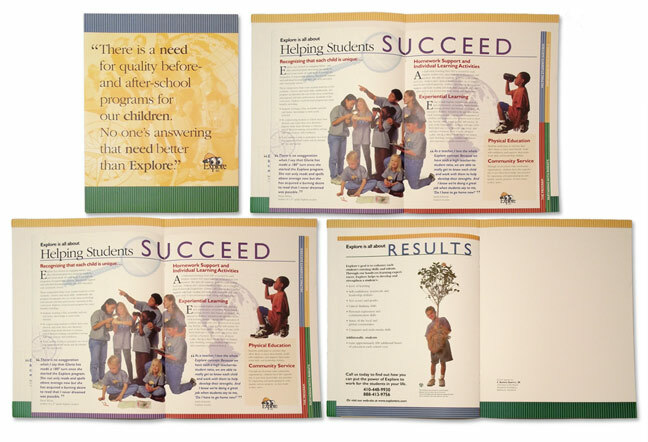 She also created and produced the two color pre-printed insert templates, as well as coordinated all the 4-color printing on satin finish cream stock. 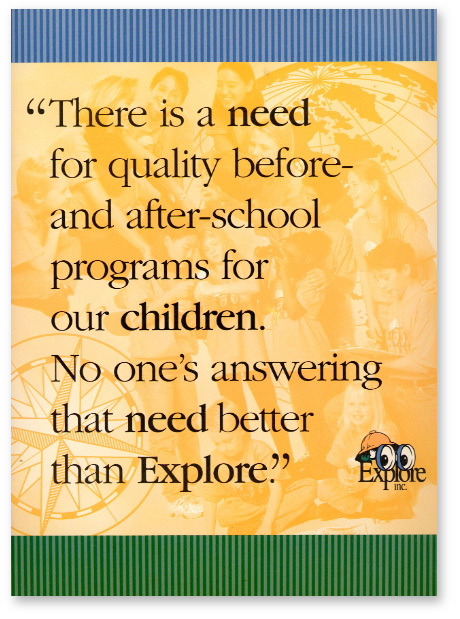 Content direction and logo was supplied by the client.